Getting The Transportation Right. The leaders of the community rallied the public behind a plan that would push the freeway outside of important commercial and residential areas, while placing the rail (called Metro) right through the middle of a chain of commercial areas. The rail line was placed underground, directly below Wilson Boulevard, which linked all of the commercial areas. The original plan called for the rail line to run down the center of the freeway, but they were wise enough to understand that this would hurt ridership and development potential. Upgrading from the Metro-backed basic freeway median system to a premium underground system was quite expensive, and this extra cost was borne by the community in the form of bonds. Incredibly, the bond measure was approved by 70% of the voters. The "Bull's Eye" Development Plan. They then developed a "Bull's Eye" land use plan for the station areas that would encourage walking and Metro ridership. The bull's eyes were based on a 1/4 mile radius (which is a comfortable five-minute walk for most people) from the Metro stations, and within that radius an immense amount of residential and commercial growth was planned. In fact, the majority of the County's growth has been focused into this corridor. At the same time, single family residential areas outside of the Bull's Eyes were strictly preserved. Steering growth toward the stations and away from single family homes was not only good planning, but essential to maintaining public support for the program. 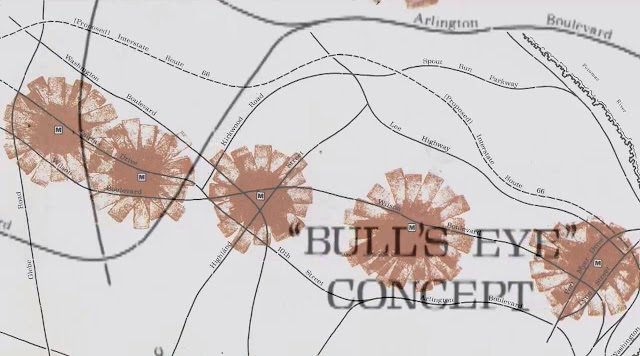 Arlington's Bull's Eye concept was ground breaking. The 1/4 mile "ped shed" is now a staple of city planning. Single family home areas have been aggressively preserved. Townhouses are often used as a transitional building type between high rises and single family homes. Despite tremendous growth, traffic is lower than the 1970s. The success of this plan is simply breathtaking. Since the 1970s, Arlington's residential and office populations have doubled, with the lion's share going into the transit corridor. Despite this, traffic is lower than in the 1970s. Metro ridership in the area is up 40% in just the past 10 years, and 75% of Arlington's ridership comes from within 1/4 mile of the stations, demonstrating that the "Bull's Eye" strategy really works. 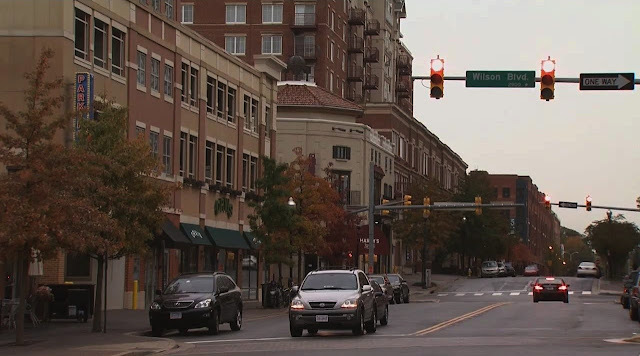 The rail corridor is now Arlington's economic engine. It is estimated that without all of the tax revenue being paid by the new development, taxes would need to go up by 30% to maintain current service levels. The transit corridor, which represents just 11% of Arlington's land area, pulls in 60% of its tax revenue. 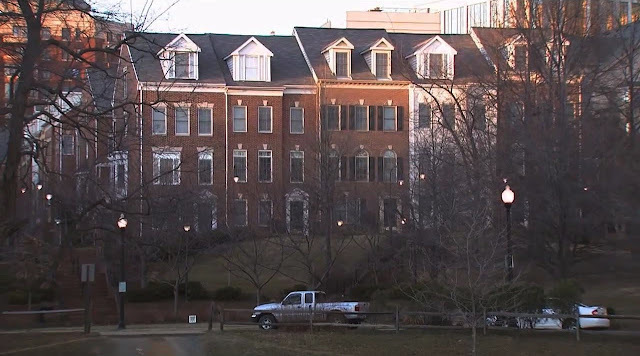 Paying the extra cost of the premium underground system has definitely returned huge dividends to the taxpayers of Arlington in the form of higher property values and lower taxes. Said Roy Lowry, a County Board member during the early days of the creation of the plan, "We tried to unite public purpose and private profit. If you can successfully do that in anything, you've got a winner." Have truer words ever been spoken? Pedestrian friendliness has been a big focus, especially in recent years. Fear of Change. 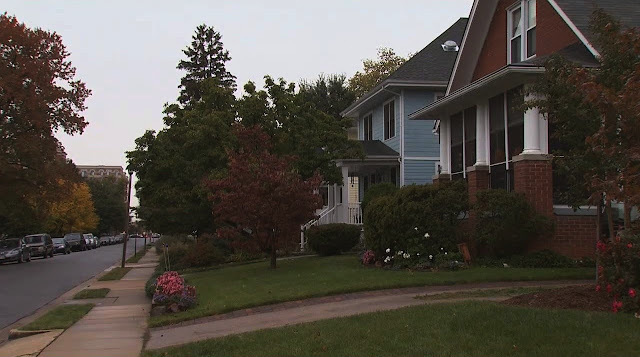 Some people were opposed or concerned about change in community character and traffic, and raised a bit of a stink about the proposed plan. This seems to have been well managed due to very extensive public participation in the planning process. Construction Hassles. The construction of the underground Metro line was very traumatic. Wilson Boulevard was completely torn to sheds, which hurt a lot of the existing businesses along the corridor. They were already in decline, and as with all big projects in established areas, it got worse for them before it got better. Affordable Housing. The original plan didn't focus on affordable housing, because it wasn't much of a problem at the time. The corridor has become so desirable that its housing is primarily high-end, and they have to play catch-up now on on diversifying the housing options near the rail stations. A program now gives developers extra height and density in return for the provision of below market-rate units. Underwhelming Design. Some of the urban design and architecture from the early stages of the transformation are a little rough. When I visited several years ago, I found parts of Roslyn near the metro station and the Francis Scott Key Bridge to be a bit unpleasant. Newer projects are pretty nice, though. They are definitely paying attention to what works and what doesn't and improving as they go. It is a great plan, a great community, and a great film. I highly recommend that you check it out. 2. 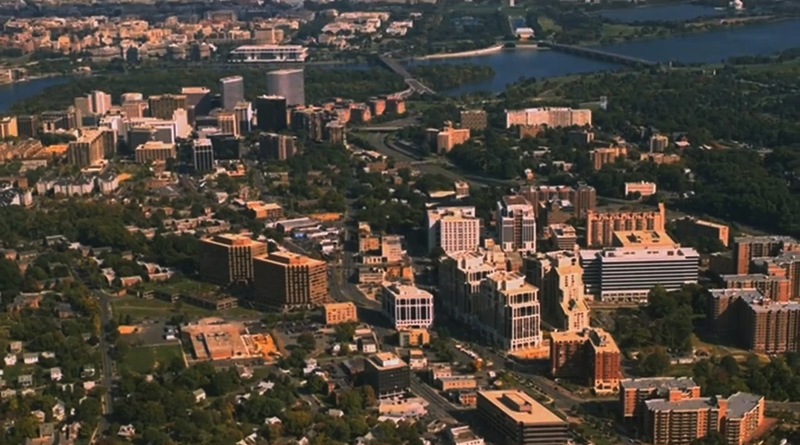 Virginia is a very planning-averse, Dillon's Rule state, and yet Arlington accomplished this redevelopment. It takes a lot of PUD negotiations and a long-term political commitment, but it's possible just about anywhere (except maybe Texas). I find this post fascinating, as well as your current series of posts regarding housing development. However, in this post, you mention that the lack of affordable housing within the 1/4-mile zones was one of Arlington's missteps. How does this reconcile with your current series (and Redwood City planning), which says that if you simply build enough high-end housing to meet demand, some of that will have to lose value and become affordable?